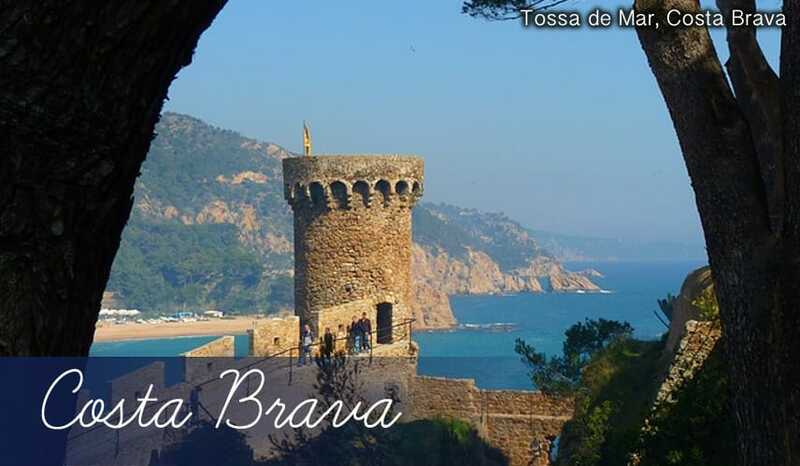 Quiet town: Sandwiched between two slightly larger resorts, Pineda de Mar and Malgrat de Mar, Santa Susanna holidays have a relaxed atmosphere and never get too busy. It’s the perfect place to unwind and soak up the Spanish sun. Green spaces: Santa Susanna holidays are quite the nature lover’s paradise, as the huge Montnegre National Park is less than 3km to the north of the town. On top of that, there are two small grassy green parks within the Santa Susanna itself. Can Rates: A 16th century sand-coloured watchtower, Can Rates was originally built as a guard against pirates attacking the coast of Santa Susanna. It’s in a rather unusual position, enclosed on both sides by a farmhouse with a rustic courtyard. It’s certainly an interesting sight well worth seeing on your holidays to Santa Susanna. Parc de la Font del Boter: This leafy green park in Santa Susanna has a fountain which runs naturally clean fresh water. It’s also large enough to take a picnic and plot out your space to spend a whole afternoon in its green open spaces during your holidays here. Parc d’en Colomer: Just across the road from Parc de la Font del Boter, this park has more wide open spaces and grassy fields. Your children may prefer this park out of the two as it has a play area with swings and slides. Free entry to both parks makes them an extremely cheap way to keep you and your family entertained whilst on holidays to Santa Susanna. Montnegre Natural Park: This huge nature reserve takes up most of the area just north of Costa Maresme. Part of the park actually begins directly where Santa Susanna ends. Much of it consists of forested hills and towering mountains, but it’s well worth the effort of walking the steep inclines on the winding pathways to see the amazing views. There’s also a huge variety of wildlife across the reaches of the park, including frogs, salamanders and racoons. Santa Susanna Beach: Many holidays to Santa Susanna are based around the beach, and while there’s only one in the resort, at least it’s a very good one! The 2km-long stretch of golden sand is well facilitated with showers and toilets, plus all manner of water sports to excite you out to sea. There’s a promenade which follows the coastline and it’s amply lined with lots of different bars and restaurants. The Drunken Duck: With a name like that you’d expect that this British style pub sells lots of different alcohol, and you’d be right. They also offer a wide range of hearty home comfort food aimed at British people enjoying cheap holidays to Santa Susanna. Expect tasty dishes like fish and mushy peas or pie and chips. Pizzeria La Piola: Although pizza may not be the first food you think of when you come to Spain for your holidays, this traditional Italian pizzeria has all the classic toppings you’d expect such as Margherita, Ham & Mushroom and Pepperoni. They also serve other Italian favourites like lasagne and spaghetti Bolognese. Quiet drinks: Being a small resort much of the evening entertainment is supplied by the hotels in the area, especially the ones which offer all inclusive holidays. There are a few British pubs in Santa Susanna however, with both the Drunken Duck and the Ship Inn having a friendly, welcoming atmosphere and a good selection of drinks. You may also be surprised to find that there’s a rather loud and lively nightclub here, called QK disco. So if you do fancy a wild night out during holidays to Santa Susanna, the option is always there. Tuesday market: There are a number of shops selling mainly souvenirs and swimwear aimed at people on beach holidays to Santa Susanna, but if you’d prefer something more original, just wait until the Tuesday market. The large selection of fresh produce on offer makes it a delight for the senses, and there’s also every chance you’ll pick out a bargain from the craft ware and clothes stalls, ensuring cheap holidays to Santa Susanna will be super cheap!